I am cranky. Nowhere in any of the advance store previews or ads that I read was A Discovery of Witches said to be anything other than a standalone novel. As I read it I kept thinking, “The pacing in this is odd. Decent story, but where is it going?” which became, “How on earth is this going to be wrapped up in twenty pages?” Turns out it’s to be a trilogy. I hold marketing to blame. Also, there’s not a smidge of mention anywhere in the book itself, not in front or back matter, that says it’s to be anything more than a single book. (I just dug out the book jacket and on the inside flap in pale letters it says it’s the first of a trilogy. Man, that rankles.) I will be reading the others in the trilogy, just so we’re clear; I find a lot of the central ideas very interesting (especially having just gone through a crash course in genetics). This entry was posted in Books, Diary, Words Words Words on March 31, 2011 by Autumn. I am swamped with work. I have a month to deadline, and hospitals and doctors have eaten up a lot of work days in the past couple of months. I have to add April to my list of Months In Which I Will Have No Time To Do Anything So Please Don’t Ask. 1. You know that whole “maybe now that I don’t have to visit so many hospitals for tests and consultations I can get work done?” Yeeeeeah. Guess where we spent Tuesday? That would be checking out the emergency ward of our local hospital, because HRH got ambushed by a wicked kidney stone. The hospital and staff seem very nice. HRH is bruised and recovering from medical trauma. 2. We went in to Le Melange Magique this morning to bid farewell to Debra, the owner, who after nineteen and a half years decided that she had other things to do in her life. From the moment she told me of her plan to sell the store in January I have been behind her one hundred percent. She’s pulled off some pretty amazing stuff in the past twenty years, and deserves her retirement from the metaphysical business and eventual refocusing on a new career. I admire her immensely, both for what she built, and for moving on when the time was right. And I am thrilled that a couple of my friends have bought the store; the administration team is going to be terrific. The store is in good hands. 3. The boy attended his first group cello class on Sunday, and it went very well indeed. He saw seven or eight other kids, ranging from his age to late teens, playing, and was thoroughly energized. He played open strings that fit into whatever the other kids were playing from the Suzuki repertoire, and I saw him imitating their bowing rhythms and pretending to move his left hand fingers on the fingerboard like they were doing, too, which is huge because he’s been resisting left hand work; he just hasn’t been ready yet. My teacher lent us a basic first cello performance book that uses the Twinkle Variation A rhythm for the young “soloist” along with a piano and second cello accompaniment, which sounds like “real music,” and we have played “Wintertime in Russia” and today we played “Carnival in Rio.” Sure, the young soloist in question is playing an open string over and over, but the piano and second cello move around and use different keys, and as a result different moods are created. “Wintertime in Russia” really sounded Russian; “Carnival in Rio” sounded like a gentle samba. He loves playing with me, and I think the fact that we’re playing “his” music makes a big difference to him. And he’s doing a good job maintaining the rhythm, and watching for cues to stop, too. 4. We’re in the last few days before the spring concert this Saturday. There are some things I still can’t get, mostly cues that feel sudden to me, and I can’t do any more work on them on my own because it’s about fitting in with what’s happening in the orchestra. I can play the stuff on my own. It’s understanding where to come in that’s throwing me. And as usual I feel awful, because I’m right in front of the conductor, and I feel like I’m personally letting him down when he suddenly turns and cues me and I miss it. I know it’s coming; I know, and I’m physically prepped, and then whoosh it’s gone. I am definitely proud of conquering some stuff I was struggling with up till last week, though. 5. The baby (whose code name is Owlet, dubbed thusly by the boy) is big enough to be visibly bumping my tummy around from the inside. It is amusing. 6. Yes, the baby has a name, or one so far, at least. No, no one’s getting to hear it until she’s born. Partly because, well, it’s ours right now, and partly because if it really doesn’t suit her when she’s born, we don’t want to have to explain that we’ve changed it. She has actually had a name since a couple of days before she was conceived, when the boy casually mentioned to us at the breakfast table that he was going to have a baby sister, and this is what her name was going to be. Two weeks later I showed HRH the pregnancy test, and when the boy asked what it was, we told him it was the baby he’d ordered. It’s an unusual name, too, one we’ve never heard before. We have no idea where the boy found it; we know no one with that name, there are no kids at school of that name, it hasn’t been in any books or films we’ve seen or read. We suspect he made it up, although HRH has since found it online as a variation or diminutive of another name. We really love the fact that he’s so voluntarily involved with this baby. He’s taken on the task of designing the nursery theme as well, and has proposed several crafts for us to do to create mobiles and blankets and so forth. 8. I need a new laptop. The borrowed iBook is running Panther (2003, boys and girls! ), Safari crashes on it repeatedly when I try to access half the research pages I need to access, and it is, alas, very slow. I can write a rough draft of one entry on the iBook in the time it would take me to write two polished entries on the desktop. My original plan to buy a secondhand iPad on which to write has been morphing into a less-exciting plan to buy a secondhand Macbook, which will serve me better in the long run for switching between documents and online research. Not that I can buy either until my delivery cheque is issued to me after I hand the bird book in. (The point that I will not need to switch back and forth so often once this research-heavy book has been handed in has not escaped me. I have three months to decide which to choose, in which I may be able to borrow an iPad for a day or so to test it out.) Yes, I do have an old Windows laptop, too, but it dates from about 2003 as well. I should see if I can update its browsers and such. That’s all I’ve got right now. I have to go turn the oven on to bake today’s bread, and get at least one bird done today (this morning and early afternoon were errands and such). I got four birds done yesterday, which was heartening. I’m looking at the number of birds I have left, and at the remaining space within my allotted word count, and thinking that I need to stop going into so much detail. But I’m still stuck on the “can you flesh this part out more?” request that came back after I handed in a sample with my proposal, so I’m adding as much as I can. It can always come out later, but as time is beginning to be of the essence, I may have to dial back to basics. This entry was posted in Cello, Cogging for Kibble, Cyberspace & Technology, Diary, The Boy, The Girl, Words Words Words, Writing on March 31, 2011 by Autumn. If you’ve been following me here or on Twitter, you know that life has been pretty bad the past few months. There have been some major health issues in the family that we’ve had to deal with. One of those directly involved me and an awful lot of hospitals for five months. Well, we are relieved to say that this particular health issue has mostly been cleared up. She’ll be joining us in late July. The boy was thrilled yesterday when the doctor at the ultrasound told him that he was indeed getting exactly the kind of baby he’d ordered. For the past five months we’ve been struggling with some uncertainties. 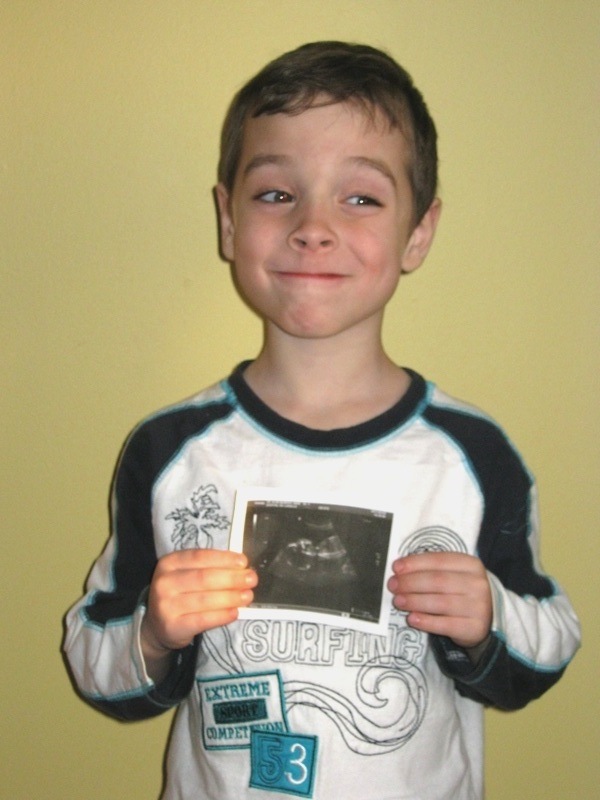 First of all, it took us ages to conceive again, as those of you who can do math and know that the boy is about to turn six have no doubt noticed. When we finally did conceive, we decided to be prudent and wait out the first trimester, as we’ve had our hopes raised and crushed before. My OB, after looking at my history and physical health, recommended that we skip the usual first round of screenings and go directly to the amniocentesis, as she was sending me for the amnio come what may and the first round of results (usually inconclusive for someone of my age) would just tell us to move on to the amnio anyway. So we decided to wait until we had those results back before we shared the news. Except the results that came back were, frankly, scary, and confirmed our decision not to share the news of our pregnancy right off the bat. And the results weren’t false positives, either. There was some sort of genetic aberration that didn’t match any of the main things they test for. And so, HRH and I had to scramble and go for more tests so they could do a genetic profile for each of us to see if we’d passed something odd along to the baby. At this point we were betting on superpowers, figuring that they’d isolated the mutant X-factor gene if it wasn’t one of the immediately identifiable defects they test for. But even after the genetic profiles had been compared the results were kind of weird, so today HRH and I went in for a session of genetic counselling where they spread a bunch of papers and charts out on a table for us and walked us through the results and what they might mean. Those results told us that there is a high, high chance that our baby will be perfectly fine, which was the answer we’d been looking for. But there was still that… weirdness. It turns out that HRH is perfectly normal. (You have to know he was slightly disappointed.) I, on the other hand, am a genetic freak in the nicest kind of way. Because of the genetic profiling of the parental DNA, they discovered that I have the same genetic aberration that my daughter does, only more of it. Now, this was actually very good news, because we (meaning all of us here plus the medical community) consider me pretty normal, so chances are stupendously good our daughter will be, too. There’s one last test that we submitted blood for today (I tell you, I have given more blood in the past six weeks than I did in the entire previous decade) that will wring the last possible bit of information from the baby’s chromosomal oddity, and give us every chance to be prepared for what it might indicate. This has, to say the least, been very stressful. I am lucky in that I had a couple of people to listen to me wring my hands when I needed to and basically grump at them about how frustrating it was to have been held back for over two extra months from being able to share this news with confidence. We haven’t been able to fully relax and enjoy this pregnancy because there has always been the uncertainty about the baby’s development and health. There were some pretty horrific scenarios that we had to talk through and make provisional decisions about, scenarios, I am glad to say, that have not come to pass. We are thrilled to be finally able to share this news, and to be happy about our growing family. And honestly, we’d make the same decisions again about not sharing the news until we were as secure as possible about the baby’s health. The boy is pretty happy, too. I am still considered a high-risk pregnancy for various reasons and being treated for such, which is frustrating because I feel great. (Mind you, I felt great in the last pregnancy, too, until, well, it ended in a baby two months early.) At least I haven’t been put on bed rest, although it came close until my doctor realised that I work at home, so we’ve dodged that bullet for now. In fact, while we were worried about how my fibro would impact a pregnancy, we have discovered that it has actually eased some of the fibro symptoms. So no, I was not thoroughly exhausted this winter because I was pregnant; the pregnancy actually allowed me to sleep, something that doesn’t happen well normally, and seems to have somewhat eased the muscular exhaustion issue I deal with on a daily basis. Energy levels and mental fog were at a normal fibro low this winter, not made any worse. There. That’s about all the news we’ve got for you. We hope you’re as thrilled as we all are. This entry was posted in Blessings, FM/CFS, Photographs, The Boy, The Girl, Words Words Words on March 24, 2011 by Autumn. In our house, we know that seasons don’t come according to the schedule carefully calculated and given to us by astronomers and scientists (in essence, the spring equinox occurs when the sun crosses the celestial equator that parallels the earth’s equator, and we have equal hours of day and night). HRH has been known to announce a season a month ahead of time, and then there are the seasons that dawdle. But there’s a feeling that sweeps through, a change in energy, and that’s what we mark as the beginning of whatever season is coming up. Sure, there are the exceptional days that promise the upcoming season, but one spring-like day does not make spring in a late Canadian winter. Today, spring is sweeping through. It’s pretty close to the vernal equinox, actually, and one of the few seasons I can remember coming just about in agreement with the scheduled time. There is sun with occasional cloud and brief showers; there is wind (warm wind, even); and the snow is falling in on itself with graceful submission, little diamond drops sparkling in geode-like caverns in the surface of snowbanks. It felt wrong to dress the boy in a snowsuit on a day that was 10 degrees C at eight in the morning, but I know how hard he plays in (what is left of) the snow, and it’s just not quite time for splash pants and a raincoat yet. I can feel the change in my own energy, too. This winter has been hard on the fibro. The damp, the bitter cold, and the energy required to handle thick, quilted, down coats and heavy boots, and wrangle someone else into a full snowsuit and boots and accessories, plus battling brushing off and driving the car in all sorts of weather… it has been dreadful. I wonder if it might have been easier if I’d stayed on the medication, although I couldn’t for other health reasons. Blade suggested the other day that we install full-spectrum light in the attic office, which is a lovely idea, but it’s not seasonal affective disorder that runs me down (especially not since I increased my vitamin D at the suggestion of my doctor last fall, bless her); it’s the lack of energy to deal with physically draining stuff in a fibro-based body that undercuts me. Sunny days psychologically lift my mood and make me a more cheerful person, but don’t affect my energy level. But it is spring, and I am feeling a bit more like myself, for which I am deeply thankful. In other unrelated news, the boy marched up to me this morning at seven-thirty and said, “Mama, it is time to do cello.” Doing this practice in the morning thing is working very, very well indeed. This entry was posted in Cello, FM/CFS, The Boy, Weather, Seasons, & Celebrations, Words Words Words on March 18, 2011 by Autumn. This means that yes, the Lakeshore Chamber Orchestra’s spring concert is on the near horizon! This concert’s theme is German Masters. What? You think that looks like a short programme? Ha! The list may be short, but there’s meat aplenty at this musical buffet both in terms of quality and quantity, trust me. Apart from the historical and musical weight of the material being performed, we are honoured to have a local professional violin soloist, Judy Hung, performing the romantic and breathtaking Bruch with us. Admission is $10 per person; admission is free for those under 18 years of age. The concerts usually last approximately two hours, including the refreshment break. There are driving directions and public transport info on the church website. I usually encourage people who are vehicle-less to find someone who has a car and share the cost of the driver’s admission to the concert among them. It’s more fun to enjoy the evening in the company of others, after all. And it bears repeating that children of all ages, including babes in arms, are very welcome indeed. There’s a large cloakroom at the back of the church that spans the width of the building so you can walk your baby or nurse in a quieter environment. This entry was posted in Cello, Music, Weather, Seasons, & Celebrations, Words Words Words on March 17, 2011 by Autumn. My son is developing a faint sprinkle of freckles across his nose. This entry was posted in Diary, The Boy, Words Words Words on March 17, 2011 by Autumn. I’m tired and swamped with work, and stressed by that raft of family health issues. I figure saying “I’m tired and I have a lot of work to do” is kind of boring to read and so rather than just write that, I don’t write anything at all. It’s only fair to check in at least once a week, though. The weather has made a marked improvement in the last week. It’s been beautiful the past couple of days, and the snow is disappearing rapidly. We are watching for robins. The sun does wonders for my mood and the generally warmer temperatures do likewise for my general fibro malaise. The time change had a surprisingly positive effect as well, although I’d already been having trouble gauging when to make dinner because it had been staying lighter longer and now it’s worse. Cello practice with the boy got difficult. He already had an after-school routine, so trying to introduce cello into it was a challenge once the novelty wore off. We’ve switched to mornings before school instead, which seems to be working so far. He’s resisting working with the bow, and I fully understand that it’s hard to get it to do what you want it to do; I worked pizzicato for a couple of months before starting with the bow myself, and I was twenty-three. My teacher keeps reminding me that it’s process not progress at this point, and I have to keep telling myself that it’s impressive that I get him to sit down for fifteen minutes every day at all. The other issue was getting him to want to do the exercises that had been set for him instead of making things up. Part of the point of music lessons was to cultivate focus and commitment to working on an extended project, so in that respect we’re doing just fine. My teacher agreed to do our lessons back to back on Saturdays, so that solves my problem of losing most of a work day to my cello lesson on Tuesdays. I have so much work to do that I’ve been having to slip work in on the weekends to cover for cello and doctor’s appointments and hospital visits for tests lately. Right now I’m checking the proofs of the repurposing project I handled last fall, which means the bird book is on hold for a couple of days yet again; I had paused on it while waiting for feedback from the publisher’s review of the almost-half and then again for a copyediting project, which proved to be lucrative but time-consuming. HRH has been working on the what-will-be-the-stairs-to-the-attic, tacking the stringers up, taking plasterboard down and measuring to see where beams and joists are. He bought all the stairs on sale a couple of weeks ago, so now we just need the risers so he can actually start putting them in one by one. He hung an unused door in the doorway too, which helps the general augh-there’s-a-hole-in-my-hallway issue I was having. The boy has discovered Mo Willem’s Pigeon books, and thinks they’re hilarious. They’re also really easy for him to read. We read The Pigeon Finds a Hot Dog aloud together, and he does the duckling in a hilarious high-pitched cute voice that makes its masterful manipulation of the pigeon with anger management issues side-splittingly funny. We have all four main books (thank you, Scholastic Book Club) plus a bonus board book called The Pigeon has Feelings Too, sent to us as a freebie to apologize for temporarily being out of stock of the four-book set. I finished my first sweater ever, a child’s cardigan in garter stitch. I used KnitPicks Comfy cotton in a worsted weight, merrily adapting a pattern I’d never used before that called for doubled yarn to make a bigger size to use thinner yarn and make a smaller cardigan, and it turned out okay. I even found nice little wooden buttons for it. I haven’t sewn them on, so no pictures yet. I am rather chuffed, because I’ve never actually knitted an article of clothing other than a scarf before, so I am rather proud of it, twisted stitches and weird increases and all. No spinning this week. I’m waiting for a shipment of Wensleydale to spin a special yarn. This was originally supposed to be done in the wool-bamboo blend, then I realised that I’d have to dye it twice to get a solid colour, one round of acid dye for the wool, one round of fibre reactive dye for the bamboo, so I’m going a different route for the special yarn instead. This means I will have a pound and a half of wool-bamboo blend all for myself. I am dizzy with the potential. Last night I pulled out some organic Merino to sample for a two-ply yarn to use as warp for a new baby blanket (the weft will be a lovely Manos Clasica thick-and-thin in a discontinued pale green colour, so pretty!). I tried the second-to-last fast ratio on the flyer pulley plus the faster bobbin pulley on the new wheel, and I made a thin, thin thread like magic. Wow. Also, the organic Merino is like a soft fluffy cloud that drafts like a dream. I just need to decide if I want a really thin warp yarn to create a weft-faced blanket, or something akin to the Manos weight for a balanced weave. I’m leaving the Merino in its natural off-white state. This may call for a sample of both a really thin yarn and a loftier yarn, and a tiny sample woven on a card or something to get a better sense of my options. This entry was posted in Books, Cello, Cogging for Kibble, FM/CFS, The Boy, Weather, Seasons, & Celebrations, Words Words Words on March 15, 2011 by Autumn.